Stephen A. Morton ’10 takes his first attempt in the finals of the long jump competition. Morton went on to win the competition with a jump of 6.92 meters (22’ 8.5”). 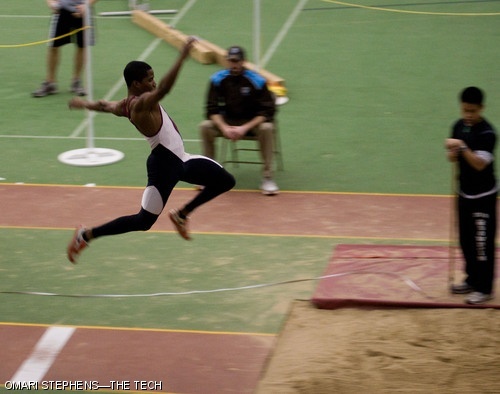 The MIT men’s track and field team destroyed the competition this past Saturday, Feb. 2, scoring 240 points to best Tufts University (107 points), Springfield College (86), Bowdoin College (70), and Colby College (51).